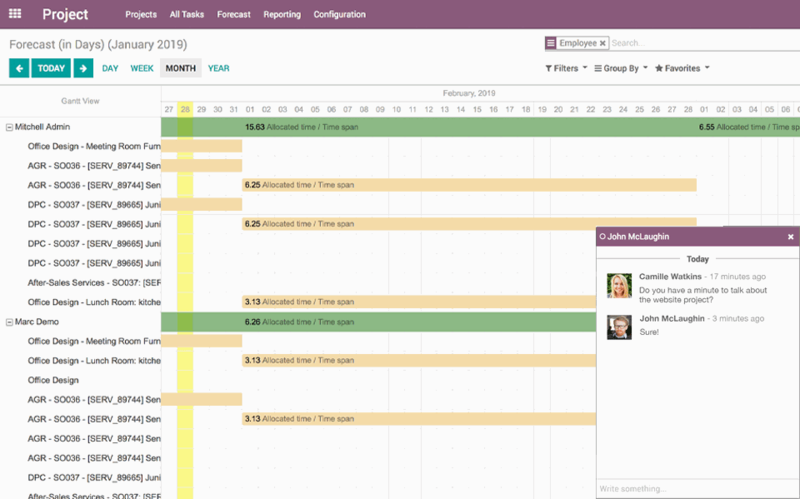 Drive discussions between employees, managers, and all levels of your company. Get an overview of the topics being discussed and all the new messages in the module’s news feed. Keep conversations open in other modules. 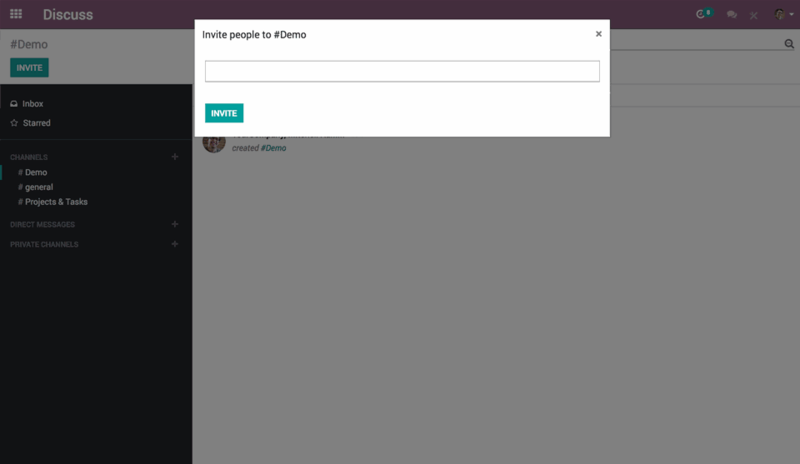 Turn your conversation in a pop-up window to continue chatting within other Odoo modules. Start a discussion with public channels and allow any employee to join the conversation. Create private channels to invite only a selected group of people. Personalize the way notifications are sent to minimize mailbox pollution while making sure important messages get through. Specify who gets what message and when. Follow any discussion from any module to automatically see updates and discussions on those tasks in your news feed. 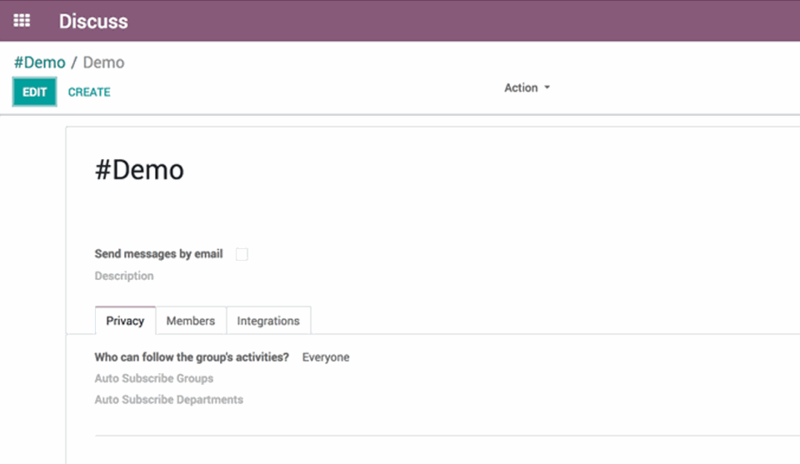 Create public and private groups to invite participants, personalize the notifications system and add those groups to specific tasks to keep track of the evolution of all projects.